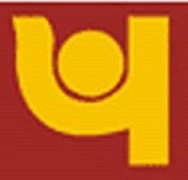 Online Application Details for Punjab National Bank PNB Recruitment of IT Advisor is given below. Application form and duly attested documents are to be sent to The Chief Manager – Policy Punjab National Bank Information Technology Division 5, Sansad Marg, New Delhi – 110001 OR e-mail to itdpolicy@pnb.co.in. In envelope super scribed with 'Application for the Post of Post Name'.